Apologetics, the defense of the Faith, shows why our Christian faith is true—but it’s much more than that. Apologetics isn’t just the province of scholars and saints, but of ordinary men and women: parents, teachers, lay ministry leaders, pastors, and everyone who wants to develop a stronger faith, to understand why we believe what we believe, to know Our Lord better, and love him more fully. 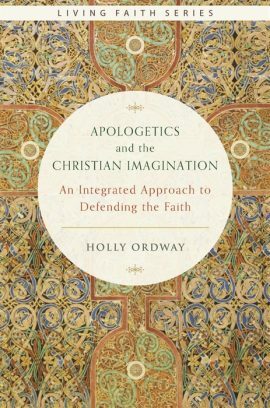 In Apologetics and the Christian Imagination: An Integrated Approach to Defending the Faith, Holly Ordway shows how an imaginative approach—in cooperation with rational arguments—is extremely valuable in helping people come to faith in Christ. Making a case for the role of imagination in apologetics, this book proposes ways to create meaning for Christian language in a culture that no longer understands words like ‘sin’ or ‘salvation,’ suggests how to discern and address the manipulation of language, and shows how metaphor and narrative work in powerful ways to communicate the truth. It applies these concepts to specific, key apologetics issues, including suffering, doubt, and longing for meaning and beauty. Apologetics and the Christian Imagination shows how Christians can harness the power of the imagination to share the Faith in meaningful, effective ways. 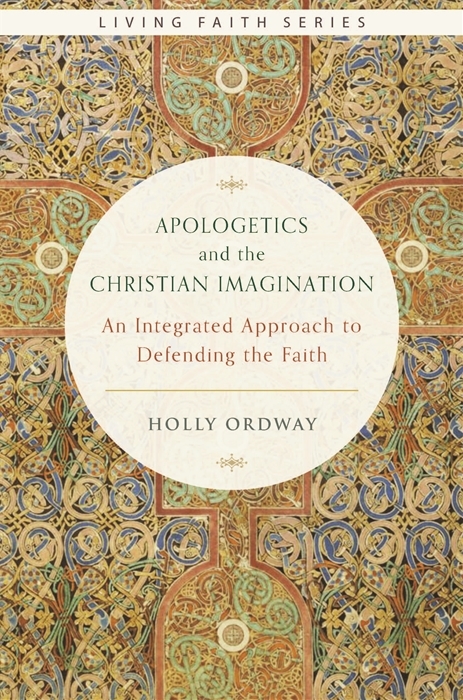 Dr. Holly Ordway is Professor of English and a faculty member in the Master of Arts in Apologetics program at Houston Baptist University; she holds a doctorate in English from the University of Massachusetts Amherst. She is the author of Not God’s Type: An Atheist Academic Lays Down Her Arms. Her work focuses on imaginative apologetics and on the writings of C. S. Lewis and J. R. R. Tolkien. A unique book, of special appeal to lovers of literature, words, and beauty.